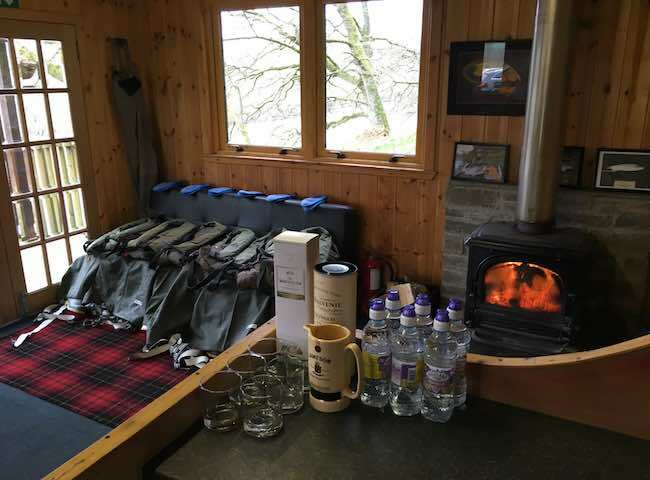 Nothing beats walking into a well prepared River Tay salmon fishing hut in the morning for gaining confidence in the excitement of the salmon fishing event experience that lies ahead. There's no better venue for a professionally organised salmon fishing event than the famous River Tay. The Tay is Scotland's most accessible salmon fishing venue and is perfect for such occasions. 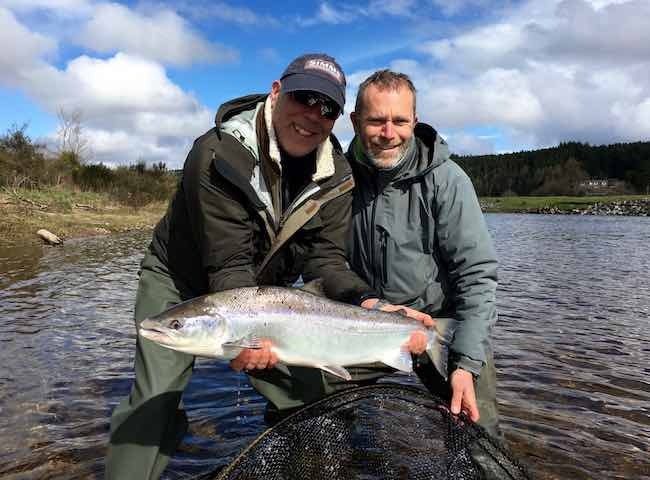 A day out on Scotland's most famous salmon fishing river under the guidance of professional River Tay salmon men will provide you with clarity of thought and the excitement of a fresh skill set to master. 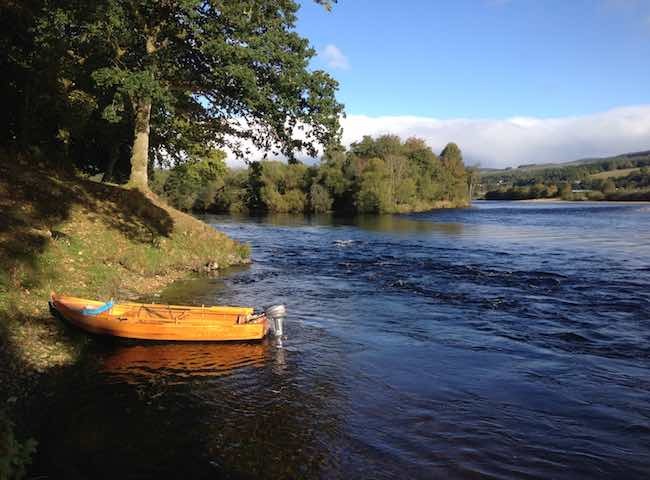 Here's a perfect high water Spring shot from the River Tay with a traditional Tay coble boat at the ready. You cannot place yourself any better recreationally than on the glorious Tay for a days salmon fishing. 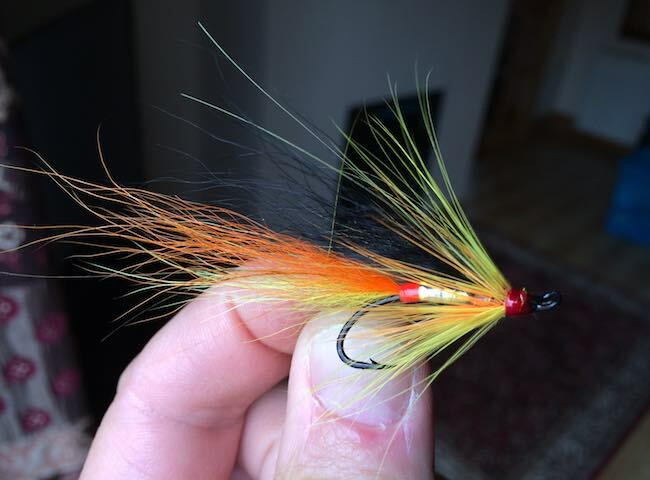 Here's a close up of one of my favourite River Tay salmon flies that is irresistible to Atlantic salmon. A great selection of these and other effective fly patterns are provided on all salmon fishing event days. Here's a fine shot of a lady fisher with her first ever Scottish salmon. 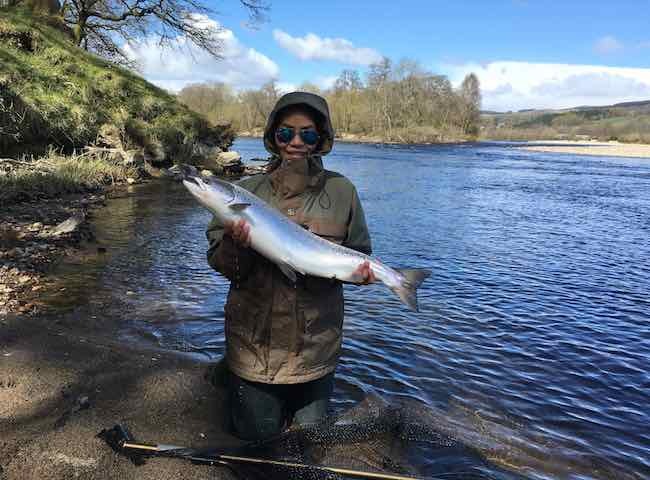 Many women are successful at catching magnificent salmon on the River Tay each year. 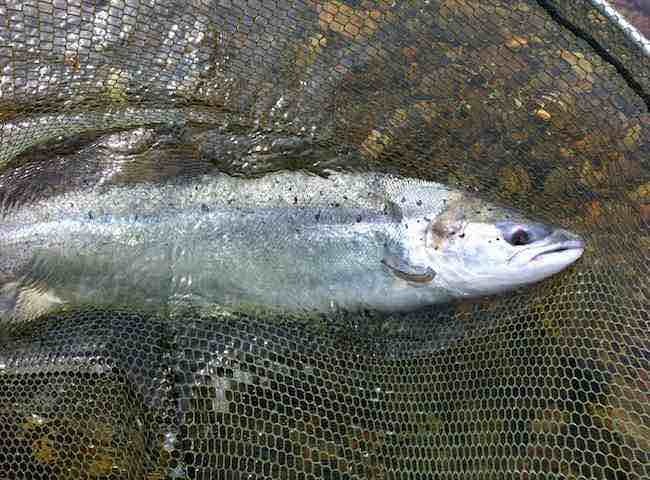 Here's a close up with a 20lbs River Tay salmon which makes a truly special occasion and memory. Put your business team through the 'salmon challenge' during 2019. 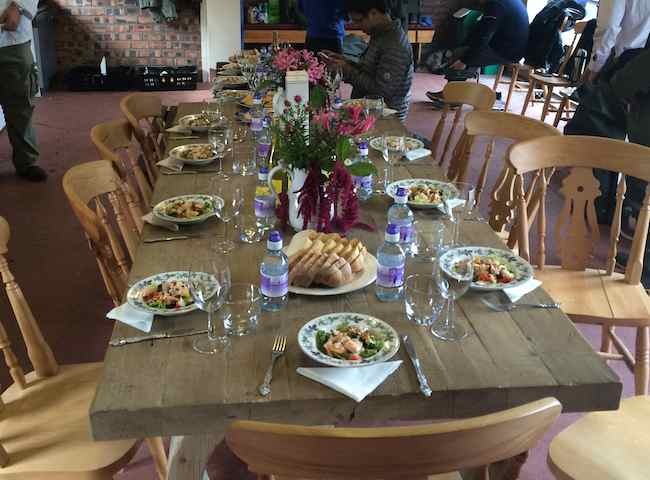 When hosting a salmon fishing event it is vitally important that only the very best salmon fishing venues are chosen where riverbank maintenance is carried out frequently to maximize client enjoyment. Here's another fine shot of a well prepared River Tay salmon fishing hut prior to the arrival of the salmon fishing guests after their morning fishing session. 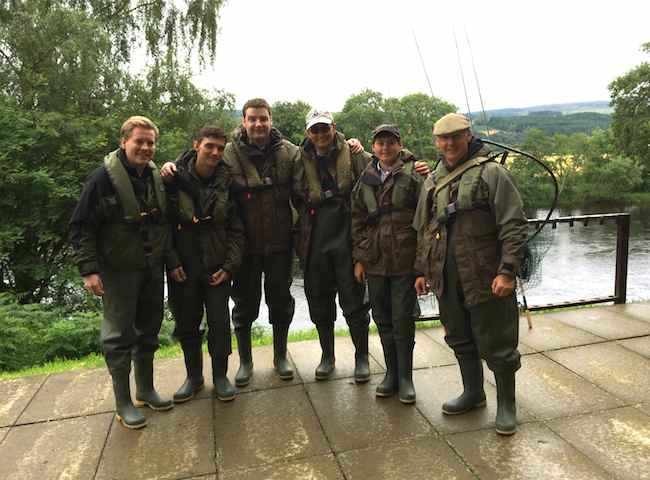 Here's a shot of a few of my Aberdeeen oil industry clients which was taken just prior to their fishing day commencement and the capture of 2 perfect River Tay Spring salmon. 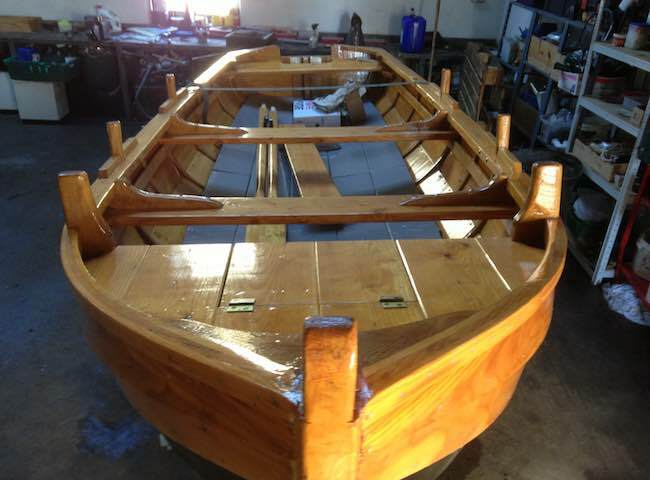 Here's a shot of a brand new 16ft traditional River Tay coble salmon fishing boat which are handbuilt in the Perthshire village of Stanley by master boat builder John Ferguson.